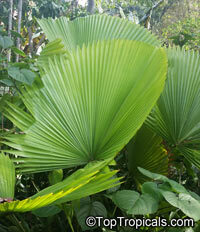 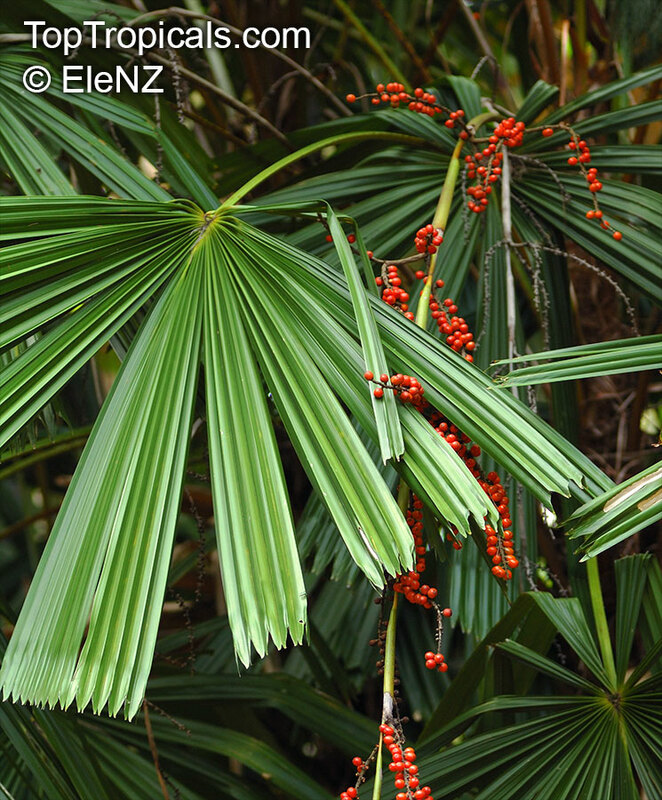 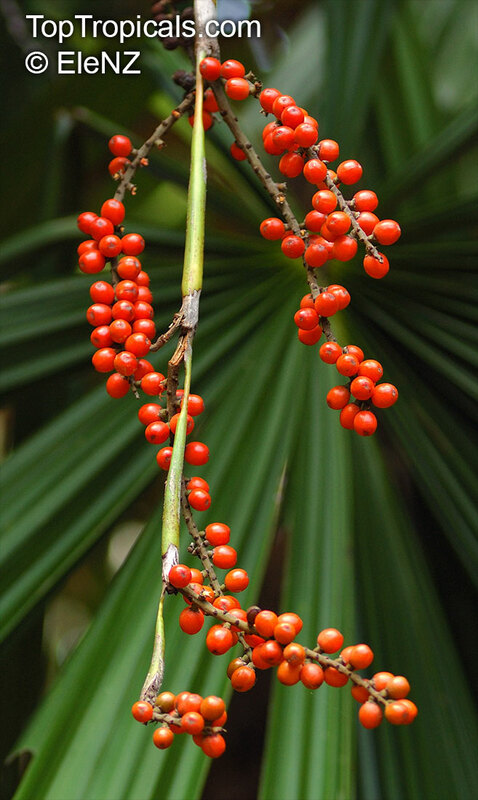 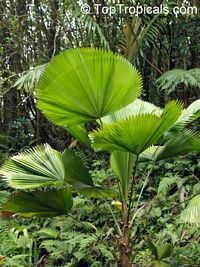 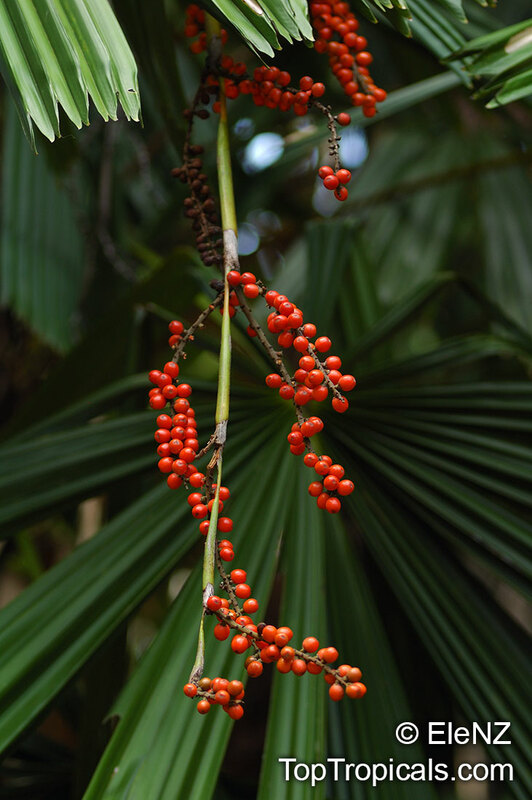 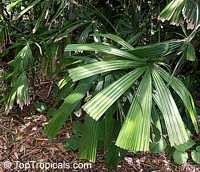 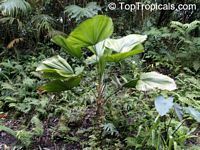 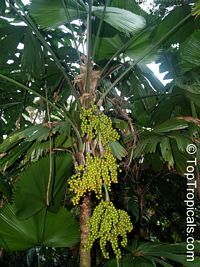 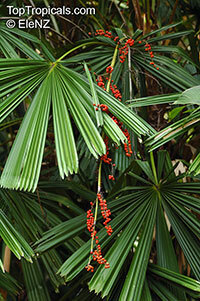 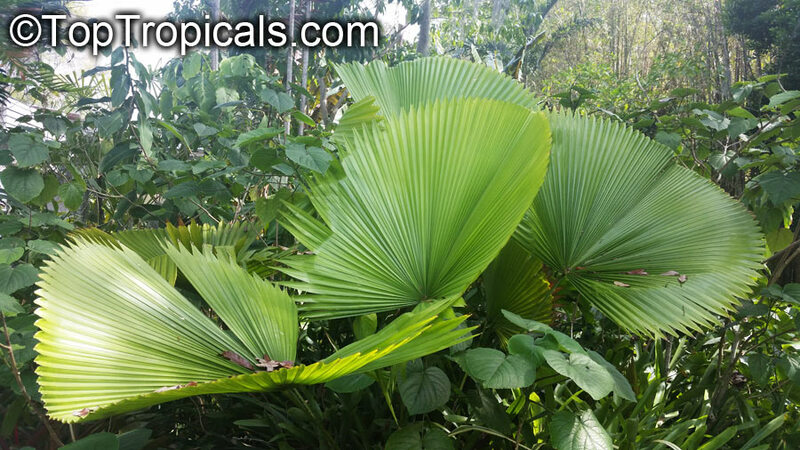 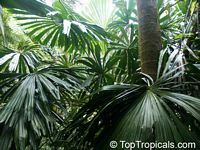 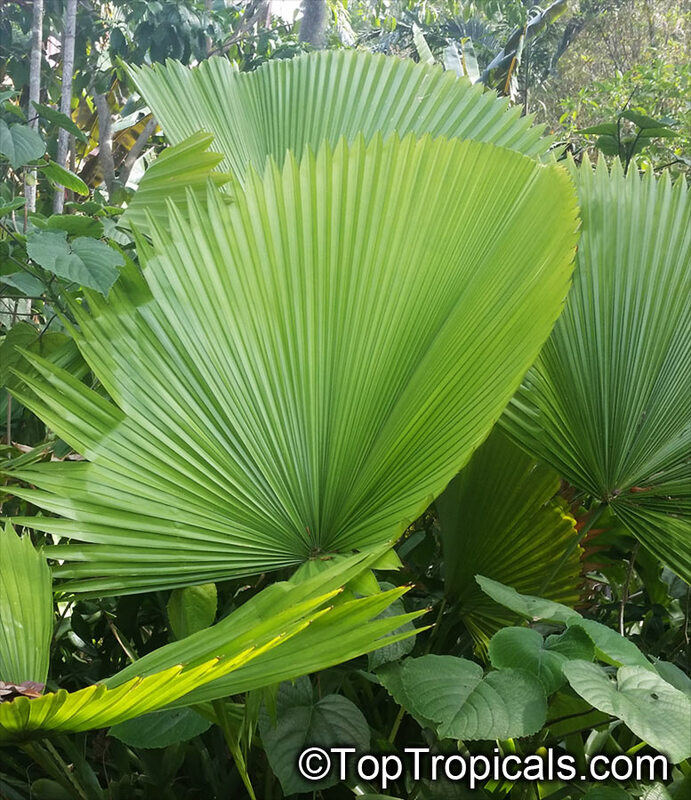 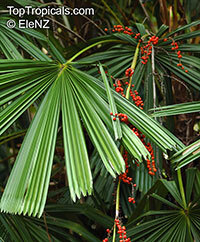 The large genus Licuala includes a great diversity of tropical palms from a wide range of habitats. It is found from southern Asia to the southwest Pacific. 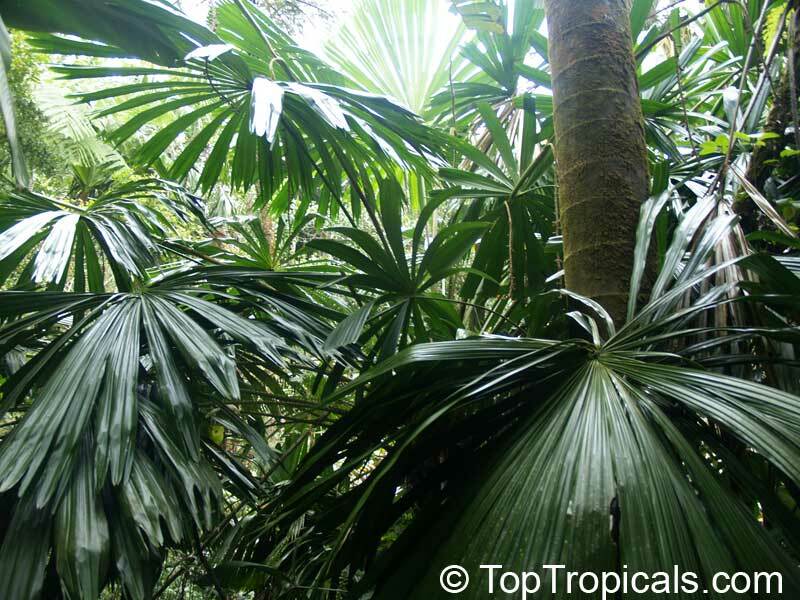 Most Licuala species are found in shady lowland rainforests, but light and temperature requirements vary. 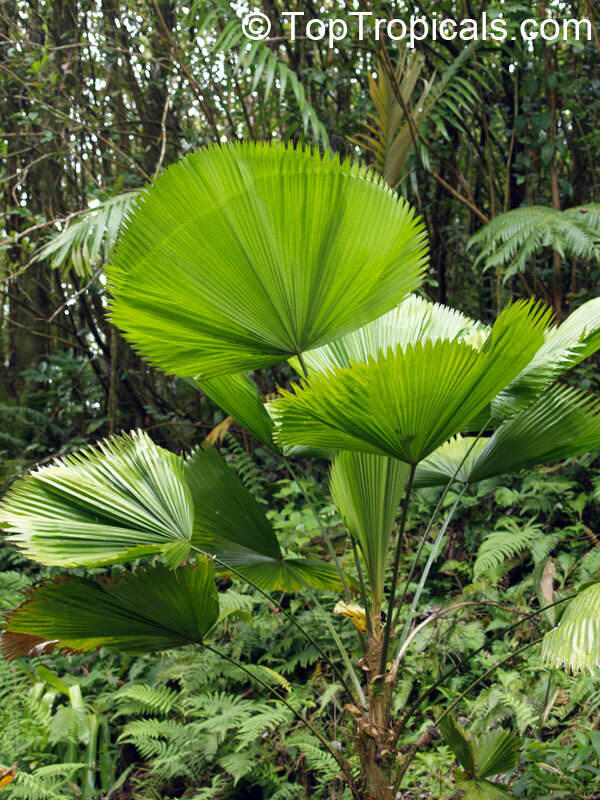 The genus is known for its fan-shaped leaves that often have attractive splitting patterns. 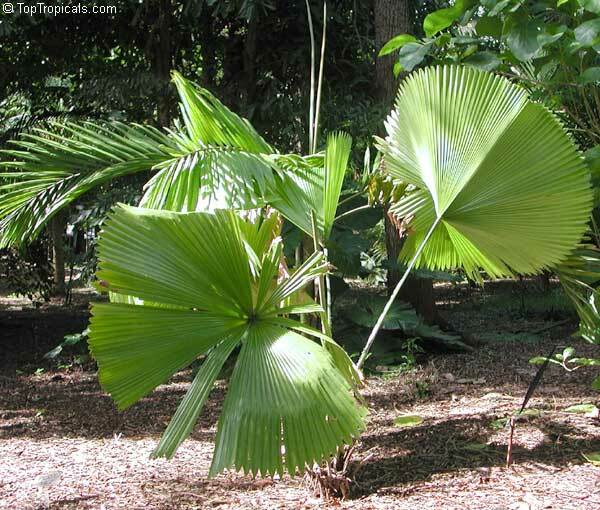 The leaves of many species are shaped like pinwheels, but some have undivided leaves that are round or diamond-shaped. 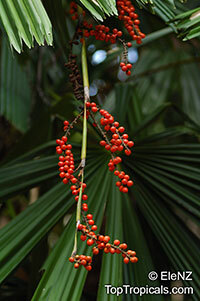 The flowers and fruits are also attractive. 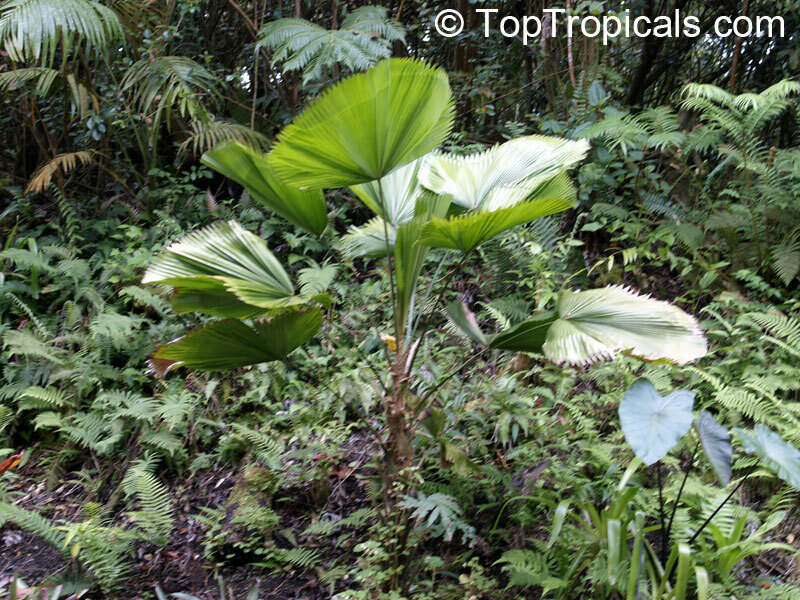 One of the most beautiful species was Licuala grandis.